Carraig sits on the shores of the Atlantic in Machrihanish, a small village on the Kintyre Peninsular within a short drive of the famous Mull of Kintyre. 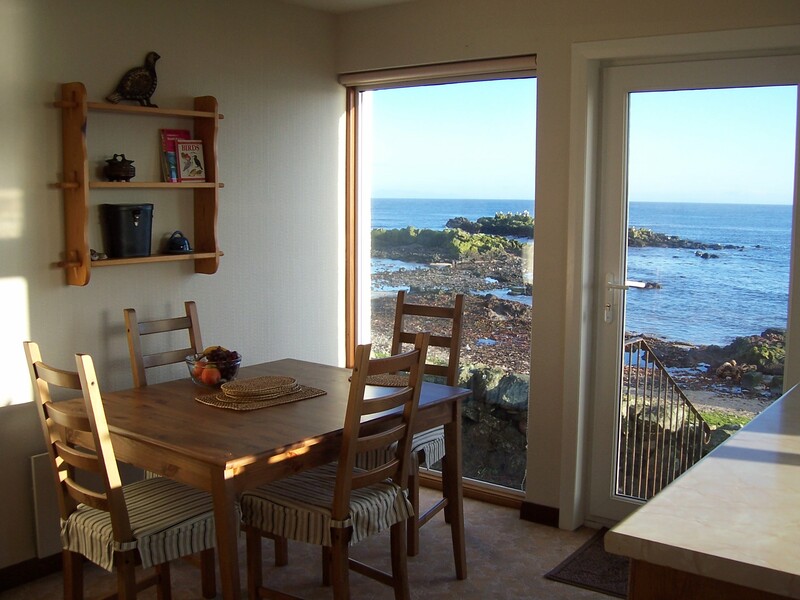 Access from the back garden leads directly onto the beach with spectacular views and sunsets with a wealth of different sea birds and wildlife literally on the doorstep. The famous Machrihanish Championship Links course is only a 5-minute stroll with two further delightful golf courses also only a short drive away, including the new Machrihanish Dunes (designed by Scotland's own David McLay Kidd). We are very proud of this new jewel which is also recognised as a site of scientific interest. The nearby town of Campbeltown offers many facilities including sailing trips, fishing, sea angling, pony trekking, walking (including the nearby Kintyre Trail), restaurants, shopping. Day trips can be taken to the islands of Gigha and Arran. The local Tourist Information office offers help and advice with seasonal events and activities.